Michael Wood may be the only businessman you'll meet who measures success by how queasy he leaves his customers. 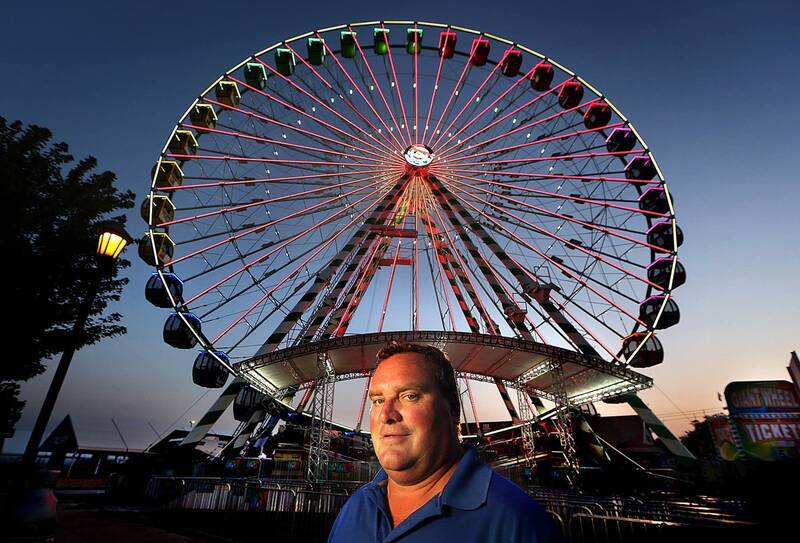 "Just enough to know you did something, but not so much that I have to clean up the aftermath," Wood joked recently, as he and his crew were setting up the Great Big Wheel on the north end of the Minnesota State Fair, ahead of the fair's opening Thursday. The Texas thrill ride operator prides himself on offering some of the biggest attractions in the country. 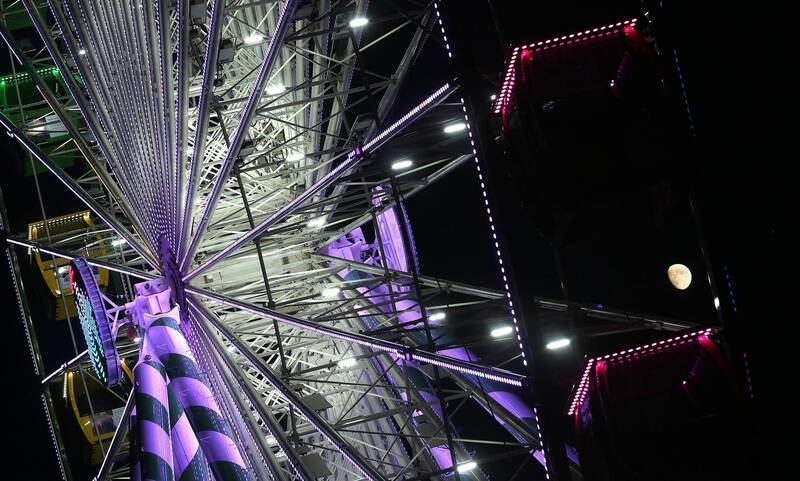 Some are carnival traditions like the Midway's mirror maze, children's swings and the new Great Big Wheel Ferris wheel. But Wood is also the man behind the Fair's most vertigo-inducing attractions, like the stomach-turning Magnum and Technopower thrill rides that spin riders at dizzying speeds in every direction. He says collecting tickets, strapping people in and hitting the "GO" button runs in his blood. "I was born into the business. I grew up in Michigan literally on the county fairgrounds. 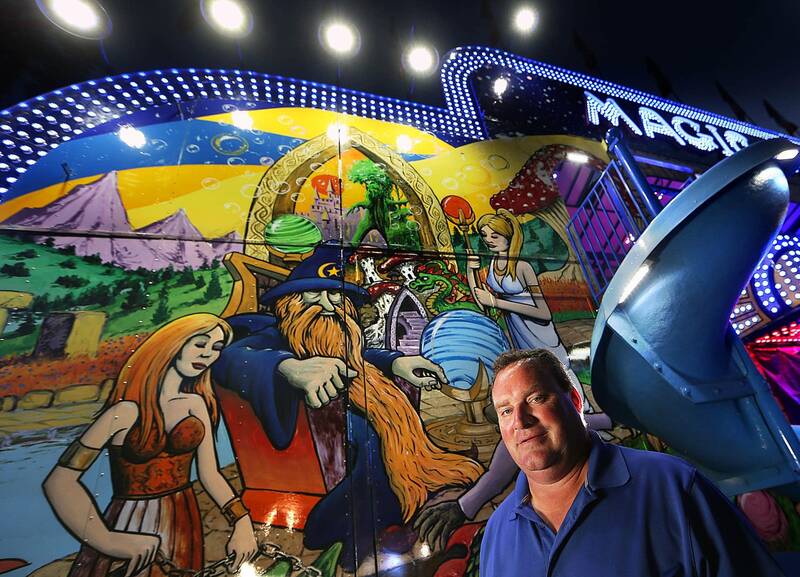 My parents owned the largest carnival in the state of Michigan and so, you know, I've been a carnival kid and a fairgoer my entire life; all 52 years of it," Woods said. His brother shares the business. His wife's family worked for the Ringling Brothers circus. 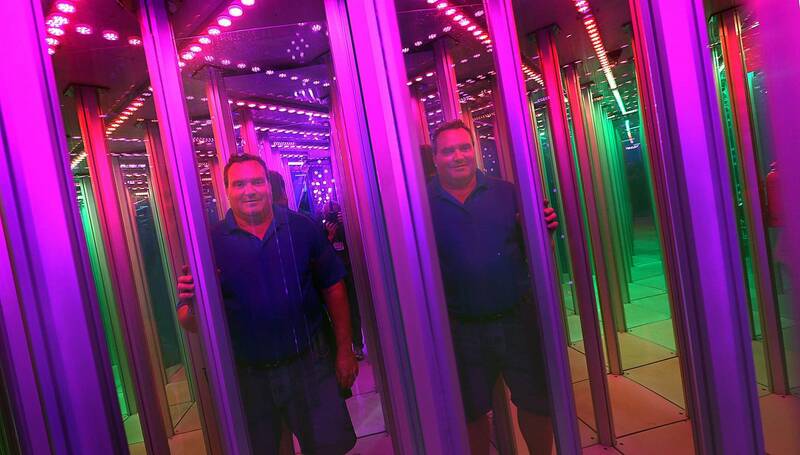 The Minnesota State Fair invited his father, Red, to the Midway back in the 1990s and Michael took over after his father died about 20 years ago. The fair's deputy manager, Jim Sinclair, recruited the Wood family to Minnesota, having seen their operations at other big fairs. "They're the best operators in the business. They really are," said Sinclair. There's even a safety award name after Red Wood. It's given out annually by the National Association of Amusement Ride Safety Officials. Michael Wood said his family has long sought out the best rides, usually built in Europe and imported. He estimated his company has invested $6 to $7 million in his rides, including the only Magnum ride in the U.S. — it's a supercharged version of the classic Scrambler ride — as well as the only American 36-seat version of the Technopower ride — the Midway equivalent of riding eggbeaters at the tentacle ends of a spinning octopus. "As a fairgoer you want me to take you right up to the edge of death, you want to look over the edge, stare the Grim Reaper in the eye, and then you want me to put you back down on the ground and not have any hair out of place," Wood said of his ride offerings. Having something extreme like that matters in the Midway business. Minnesota's state fair has had an "independent" Midway for the last 24 years, allowing individual ride owner and operators to bring their wares to the Midway. There are about 60 rides and two dozen ride contractors now, and they compete against each other to fill seats. Music and lights, fresh paint and screaming riders are Wood's stock in trade: "In our business, we like to say flash is cash, so the bigger, the brighter, the flashier the lights, the better it is for business," he said. Wood hauls his big, flashy rides all over the country. It takes a permanent staff of about 40 people, plus another 20 people hired locally to set up, tear down, and operate the rides. He only travels to fairs and carnivals with a half million or more people — the kind of crowds that make the attractions economically feasible. He estimated that about one out of every 10 people who go to the Minnesota State Fair take a spin or a whirl in one of his rides. From the comfort of his luxury RV, Wood also travels to fairs in Wisconsin, Florida, Texas and elsewhere. He's got a wife and an adult son, and even a degree from Michigan State University. But he said he's a carny at heart — a super carny, even, "except I got all my teeth and no tattoos." And for about eight months a year, he's on the road, tending to his rides, training his staff, and running what is now a multi-million dollar enterprise that's as ephemeral as the weather. His rides are one-of-a-kind, and there's no service department to drive them to or second chances if something goes wrong. "What I like to say is that in the amusement industry, or the carnival business, we are some of the last of the rugged entrepreneurs," said Wood. "You know, we're like the guys that went west on the Gold Rush. Don't know what you're really in for, but you know you're up for the challenge, whatever that may be, and you figure out the way to make it happen, and that's the story of our life." And for a handful of Midway tickets, you can be along for the ride. While it lasts.